If you have your eyes set out on a career path that can help your local community or the wider society, you might want to consider a job in the government. The national and local governments around the world offer plenty of prestigious job roles that can help you make a difference and enjoy your job at the same time. But how do you go about getting a job in the government? 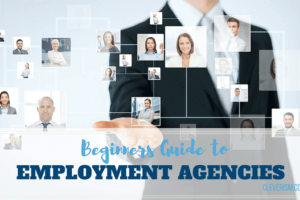 In this guide, we’ll examine the benefits and the drawbacks of a government job, as well as the different options available for you in terms of finding these roles. We’ll then present three successful strategies for finding prestigious government jobs: acquiring the right skills, networking with the right people, and becoming a politically active citizen. WHAT ARE THE ADVANTAGES AND DISADVANTAGES OF WORKING FOR THE GOVERNMENT? Before we venture into examining what your options are in terms of landing a government job, it’s a good idea to carefully consider the reasons why you’d want to pursue this route. Government jobs, like any other jobs, have their own set of pros and cons. Prior to committing yourself to being a public servant, you should carefully weigh them and see if you’re still convinced about this career path. Government jobs tend to enjoy more stability in terms of job security. Most governments don’t suddenly go out of business, unlike private companies, which can be subject to performance and profit expectations. While public sector often sees cuts and different departments can be morphed into one, the sector’s jobs have been found to be more secure than private sector jobs. The public sector is often also congratulated for offering work flexibility. In the UK, most council jobs offer flexi-time to most employees, although the implementation is not always perfect. In general, the job benefits are better for public sector workers than many private workers. Government jobs typically come with healthcare and retirement plans, while in many private sector jobs, especially the lower skill roles, these are not always given. Finally, government jobs offer longer holidays. Leave time, in terms of sick and maternity leave, is fixed and secure, whereas workers in the private sector might not enjoy these perks. But there are certain obvious drawbacks to working for the government. The most often cited is the slower salary growth. Public sector wages don’t grow as quickly and the earning potential can mostly be capped, unlike in some private sector jobs. Furthermore, if you are a doer and you want things to be done swiftly, you might be discouraged by the vast amount of bureaucracy. You often don’t have as much control over how you do certain things and reaching a decision can take a lot of paperwork and the involvement of other departments. You next need to do research on the roles available in the government. This is for two reasons: to find the roles that appeal to you and to be better able to use the strategies below to your advantage. Naturally, the availability of roles and the nature of these jobs depend on where you live. But it’s generally possible to use similar strategies for finding out about these options no matter what country you are from. First, you should check with the official government website. This is USA.gov in the US, Gouvernement.fr in France and India.gov.in in India, for example. These websites will reveal more about the structure of the government, the different departments of the government and often has a special section available for government roles. Furthermore, you should also visit your local government websites. This could be the council, municipality or city authority website. The public roles can range from administrative roles to accounting and legal-based roles. Different government departments might also employ scientist and social workers, so there’s a wide range of skillsets required across the different government roles. You should select the roles that appeal to you, in terms of your career passion and your particular skillset. Once you’ve found out about the different roles and you’ve found the jobs you’d like to pursue, you should research the hiring process. Governments often have special schemes for certain positions, which you need to apply for before landing a job. For example, most national governments run diplomat-training programs, which are a requirement for many overseas jobs, for example. You can find out about these usually from the national government websites. Furthermore, national governments also have their own job portals for announcing job openings. These are not only great for applying to the job, but you’ll be able to learn a lot about the application process on these portals as well. It might be a good idea to search for the portals in your language in Google using keywords like “government jobs”, “government job portal” and “applying government jobs”. 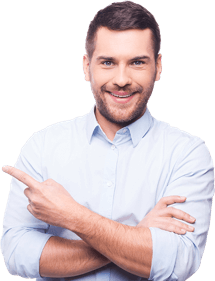 Finally, you can also find government jobs by contacting recruitment agencies. This is especially relevant for high-level roles, such as executive and management positions within a governmental department. International recruitment agencies such as Hays and UK-based agency Morgan Hunt offer public sector roles. To find more, search for “public sector jobs + recruitment agency” or “recruitment agency for government jobs” in Google. Once you’re done with the research, you should create a plan of action on finding the dream job. Outline the job roles you are looking for. Identify the location where these jobs are – For example, for certain jobs, you might have to move to a different city or even a country. List all the places where these jobs are advertised – Your research should have provided you within an understanding whether your job requires you apply through a scheme, whether it’s publicly advertised on job portals or if the role is usually only available on recruitment agency job boards. Distinguish the best route to accessing the role by using one of the three strategies we’ll examine in the next section. You can then focus on implementing your findings and the action plan through the following three strategies. There are essentially three different ways to finding prestigious government jobs: by focusing on your skills, networking with the right people or launching political campaigns. Depending on the role you are looking for, you might require the utilization of all these three strategies or rely on focusing just one. It might sound rather obvious, but one of the most successful strategies for getting a government job is to have the right skills. Now, you should understand that the right skills mean the right skills for the particular position and not the longest list of qualifications. The problem job seekers often make is to apply to jobs without paying attention to what the employer is actually looking for from the candidate. Essentially this means that your resume, job application and your interview should demonstrate your skillset in relation to the requirements of the employer, i.e. the government. How can you do this? First, you must understand what skills the government is looking for in each position. Look at the national government website for job descriptions, departmental values and best practices, and the job postings themselves to create a list of skills and characteristics highlighted by the employer. Once you have a list of skills and requirements ready, you can start comparing your own list of requirements and skills with the list. Take into account any previous experience, whether voluntary or paid. Use the list and the examples of how you meet these requirements as a guide when writing your resume. Highlight the skills the governmental department is looking for and omit information they are unlikely to need. Furthermore, use the same skill and requirement list when updating your LinkedIn profile, and when you finally apply for the jobs. However, it’s rather likely you might be missing certain skills or requirements or you might simply feel you need stronger experiences to highlight these skills. This is when you need to start looking for ways to get the skills to get hired. As mentioned above, certain openings (such as diplomats) require you to enroll in a special course after which you can apply for the specific role. Find the requirements needed for the courses and get your way in to boost your career progress. Furthermore, government roles might have other specific course, degree or experience requirements, unique for these roles. For instance, depending on the position, things such as military service, previous experience in the public sector or health & safety courses might be required. It’s important to be aware if these are a must, or a bonus for being hired, so that you can find out how to update your current resume with them. It’s also worth keeping in mind that you generally need a clean criminal record. When it comes to government roles, soft skills tend to be high on the requirement list. This means you should focus on developing your skillset in terms of qualities like: leadership, flexibility, team working, and commitment. Your second strategy involves networking with people who are currently working for the government. While government jobs don’t use referrals as often as sectors like technology and finance, referrals can still boost your chances of landing a job. You definitely want to increase your network with people working for the government, especially in the HR department or the department you are looking to join. You should first see whether your existing contacts are employed in these roles before making new connections. First, go through your family, friends and work acquaintances to find the people who might be able to help provide a good word on you. You then want to examine at your university alumni, as these can be a powerful way to draw a connection. Check university Facebook groups, LinkedIn pages and other alumni-related platforms you can find. You might also want to check different political university societies, which might have the next government influencers in their midst. You naturally want to also increase your network. You should keep an eye on the specific departmental social media profiles and start talking with the employees active on these. Networking can also be enhanced by participating in different government events, whether it’s seminars, workshops or open days. Meeting people in these and mentioning your skillset can create a connection that might boost your employment chances later on. Finally, connecting with the right recruitment agencies might also help. As you’ve found during your research, your chosen department might work with a specific agency for new job openings. It’s a good idea to build rapport with the recruitment agency, as it might increase your chances once the next job is available for your skillset. Stay in contact with the recruiter and always update your resume with the most up-to-date skills and achievements. As a word of warning, you should understand that government jobs shouldn’t be given to anyone’s nephews and nieces. Therefore, you can’t automatically assume that by knowing someone in the government, you’ll end up in a great position. Nonetheless, while you might not be directly hired through these connections, you might be able to hear about opportunities that are hardly advertised elsewhere and get an insight into the hiring process. This, with the added good word you might get, can make the process much easier to navigate. Finally, the third successful strategy of getting a prestigious government job involves becoming more politically engaged. This can be the fastest way to a top position, but it’s also relatively risky as your chosen party might not always be in the driving seat when it comes to picking political appointments. While a number of government positions are not for the politically affiliated, there are some that are. While many of these can be elected-positions such as a mayor or minister, certain jobs are filled by the senior members of the government, either locally or nationally. For instance, in the US, over 1,000 jobs are appointed by the US president and require a Congressional approval. For these roles, you would often need to align with the party in power, have done some past work within the party in question and have the adequate skills required for the role. Naturally, you should also have used networking to gain access to the inner circles of the selecting committee or personnel. In order to follow this route, it is a good idea to become a party member or at least be more active in the political scene, even if you want to stay neutral. This means attending political conferences and participating in the discussion of national and local government. You also want to create networks to all the different parties and build a reputation as a thought leader in your chosen field. In terms of establishing yourself as a prominent political figure, you might want to start blogging and writing opinion pieces in newspapers and online media. Becoming more active on social media will also help in raising awareness of your personal brand. Finally, one of the ways to improve your political standing, as well as understanding of the governmental agencies, is through voluntary work. You should consider applying for roles in non-governmental agencies that work closely with your chosen field of work and the governmental agencies. Not only is voluntary work able to provide you with experience, it can also help you network with people in influential positions. You can find out more about voluntary work with NGOs through NGOAbroad.com and OneWorld360.org. There are a limited number of prestigious government jobs available and since the turnover in these public roles can be rather slow, finding yourself a job won’t be an easy process. You should therefore be aware of what you are looking for and what are the requirements for the roles you want. Invest in skills development, as it is still the best guarantee of getting a good job. You want to understand what the government is looking for and pursue these qualifications strategically. In addition, networking can enhance your chances and help you get your foot on the government career ladder. Finally, your most lucrative, but perhaps the riskiest, strategy is to become a politically active member of society. By gaining influence in the political discussion, you might fast track yourself to a prestigious position.